25 km north of Kuusamo, Ruka village 2.9 km. 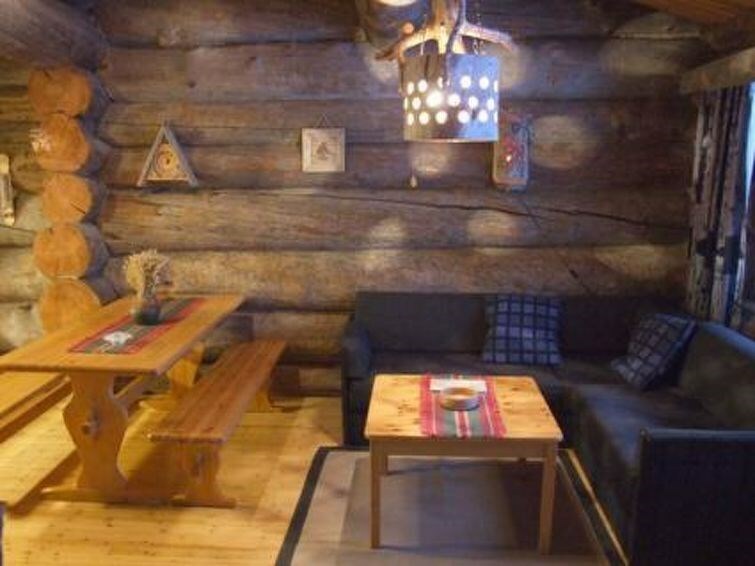 Apartment in log-built row house, built in 1989, bedroom: double bed, living room: convertible sofa for two, low loft (17 m², steep stairs): four mattresses, combined kitchen/living room, electric sauna. Cottage area on Kaukonraitti road, between Lake Kesäjärvi and Highway 5. Nearest shop 900 m. Nearest restaurant is Rukan Kaarna. 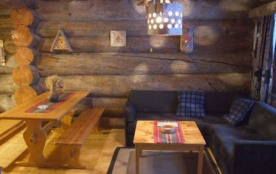 Other distances: Oulanka National Park/Pieni Karhunkierros Trail 22 km, short trails in the Central Ruka area 3 km. Additional information: Skibus stop nearby. Campfire place.